When I was in high school, I was the top Bible quizzer for the northern half of my state. We had to memorize an entire book of the Bible and be able to answer some of the most obscure references out of it and give chapter and verse. But did you realize that chapter and verses were not part of the original text? St. Matthew wrote his book as a whole, and someone added the divisions later. I knew that for some time. What I didn’t realize until much later was the same is true for the Bible. Dr. Scott Hahn in his book Consuming The Word explains that the Bible was written as a whole. The early Christians didn’t see a huge division between the Old and New Testaments as we often do now. I’ve heard people say, “Oh, that’s not important because it’s only in the Old Testament.” Can we honestly say that anything in the Word of God is not important? Dr. Hahn explains how the Bible as we know it came to be. This is something that growing up Protestant I never really understood. It was just told to us that the Bible was the Word of God and for all I knew it was always in the exact form we have now. 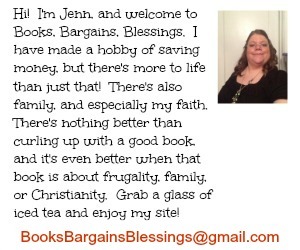 Imagine my surprise when I saw that Catholics accept more books in their Bible than most Protestants do! Dr. Hahn explains why this is as well as explains the lectionary, which is another thing I never knew anything about in my Protestant tradition as a child. 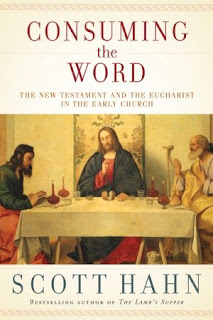 This is an excellent book about the Bible as the early Church knew it and how they saw the Eucharist as the New Testament. I have enjoyed every book I have read by this author, and this one is no exception. As someone approaching the Catholic tradition with a strong background in Scripture, this was a wonderful book for me to continue to understand how Jesus is the Word, the Word became flesh, and how the Eucharist relates. I highly recommend this book to anyone interested in Catholic theology or if you have an interest in the early Church. FTC disclosure: I received a free copy of this book from the publisher. All opinions are my own.